Around 11:00 p.m. on Saturday, October 13, 2015, a small electrical fire started in the bathroom of one patient’s room at a hospital in Pensacola, FL. The installed sprinkler system extinguished the fire right away, but caused water damage to the four lower floors and basement. DKI was called to respond, and was immediately on-site within 20 minutes. In less than two hours, the full staff of one of their local member companies was available to start the required work. By 4:00 a.m. the following morning, the crew had successfully extracted all of the water from the building and set up the necessary equipment. Additional containment and demolition were required when they spotted microbial growth in some of the affected areas. This was monitored by an IH to ensure accuracy to prevent cross-contamination and any other risks to the patients on the affected floors. 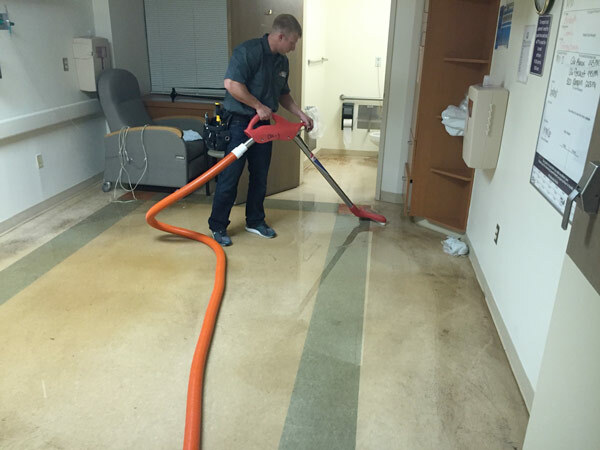 Special care, including using additional air scrubbers and deodorization processes, was taken to dry and treat this to keep the facility functional during the restoration process. All areas, with the exception of four patient rooms, were kept fully operational on the five floors and basement. Despite the additional demolition and testing needed, due to preexisting issues, all work was completed within a week. 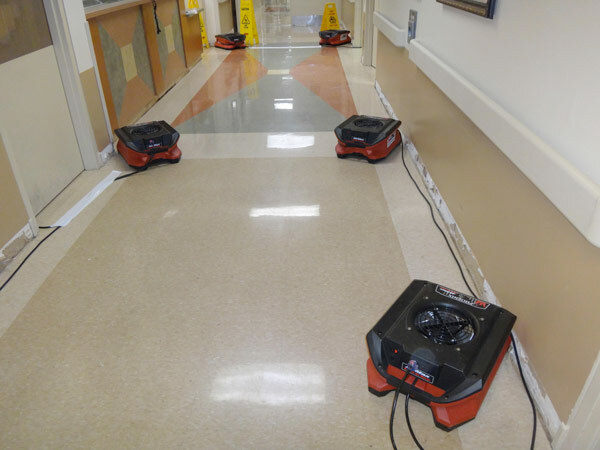 The hospital’s floors were fully restored by October 18, thanks to the professional and immediate services provided by DKI and their member company.